Professor Nik Tehrani will be teaching BUS 150: Entrepreneurship: Small Business Management Online and BUS 401: Business Communications Online this upcoming Fall 2018 semester. 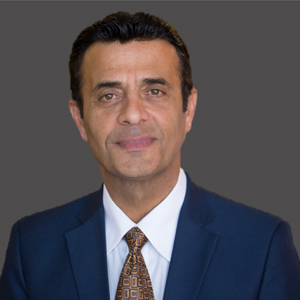 Dr. Nik Tehrani, PhD, MBA, is Vice President of Marketing and Business Development of DynoSense Corp. and has over 25 years’ experience in business management, marketing, and supply chain development and implementation. He has also over 18 years of teaching experience as a lecturer and professor at various universities in the San Francisco Bay Area. Prior to DynoSense, he was President and CEO of Savitron, Inc., an Electronic Manufacturing Solution Company; Global Director of Program Management at Sanmina-SCI, a leading EMS provider; Managing Director and Founder of Majital Solutions, a marketing and engineering consulting company; and Vice President of Marketing and Engineering of ACI, an Electronic Manufacturing Company. A mentor and doctoral student advisor, Dr. Tehrani is also author of several textbooks and peer-reviewed journal articles.